The Minshall range of electronic Organs were designed by the ex-radio repairman Burton Minshall (Born; Dereham Township, Oxford, Ontario, Canada 9th aug 1907 . Died; 10 Feb 1957 aged 49 ). These electronic tube organs were an early post war design – targeting a new and affluent US middle class and competing with tone wheel, pipe and reed based organs. Numerous electronic organs were produced during the 1950s in what became a fiercely competitive market, eventually dominated by companies such as Hammond, Conn and Gulbranson (who in turn were forced out by heavy competition from Japanese integrated circuit designs in the 1960s). Minshall’s design was originally intended as a home build project. This first amateur design eventually lead to the establishment of a successful organ manufacturing company selling mainly to churches and funeral parlours as well as the home organ market. Minshall’s original plant in Ontario Canada moved in 1946 to Brattleboro, Vermont USA due to the proximity of Estey Organ Co – a well known and established manufacturer of reed organs. 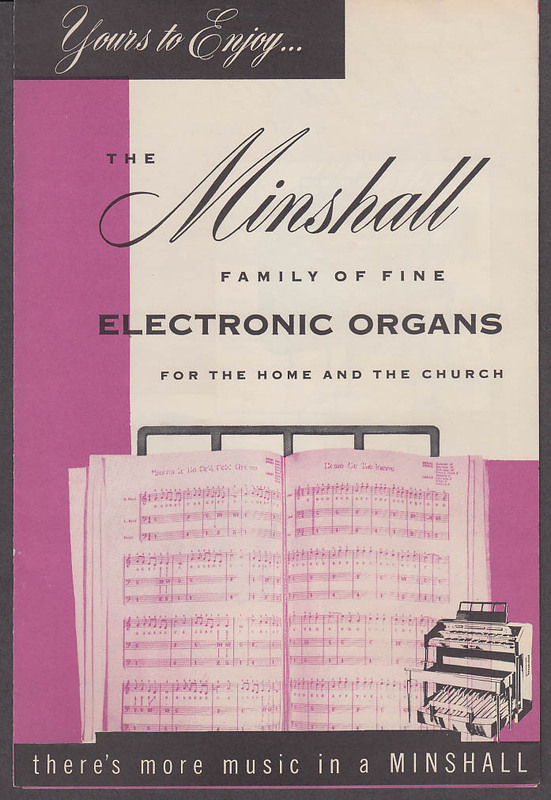 In 1947 Minshall’s company merged with Estey to form ‘Minshall-Estey Organ Inc’ where they continued to produce electronic organs based ion Minshall’s designs until 1954 when Minshall severed ties with Estey. The Minshall company finally came to an end in 1955; Burton Minshall became ill, sold all of his shares in the company and eventually died in 1957. The Instruments produced sound using 52 vacuum tubes mostly 12AU7s or 12AX7s – using 3 tubes per tone generator, one as a phase shift oscillator and five sections as RC frequency dividers. The Minshall Organs, which were considerably cheaper than similar competing models, had a reputation for unreliability and problems with pitch drifting of the overheating tubes. Article from ‘Mechanix Illustrated’. May 1954. I have a Minshall Estey organ from 1947, it has a model C 6l6G tube amplifier in it. I would like to know what kind of tone cabinet you are supposed to pair it with? Do you have any pictures of one>? My family has an organ Minshall Model 116 Serial No 1227 which was used in our church in the 1980s and which has been in the basement of my parents’ home. My father just died and we need to find a new home for the organ. Who might like to have this interesting and unusual organ specimen? How would we find a good home for it? I have (I’m pretty sure) A MINSHALL 8 tube organ amplifier. It has two Hammond Mfg. Co. Ltd. Guelph. Ont. transformers. Chimes, Microphone, Mike-Phono, Tone Indicator then a Circuit warm up magic-eye and then last an on/off switch with a red indicator light. Do you have any information regarding this very Leak style amp.? It is a beautiful sounding amplifier. Hope to hear rom you. 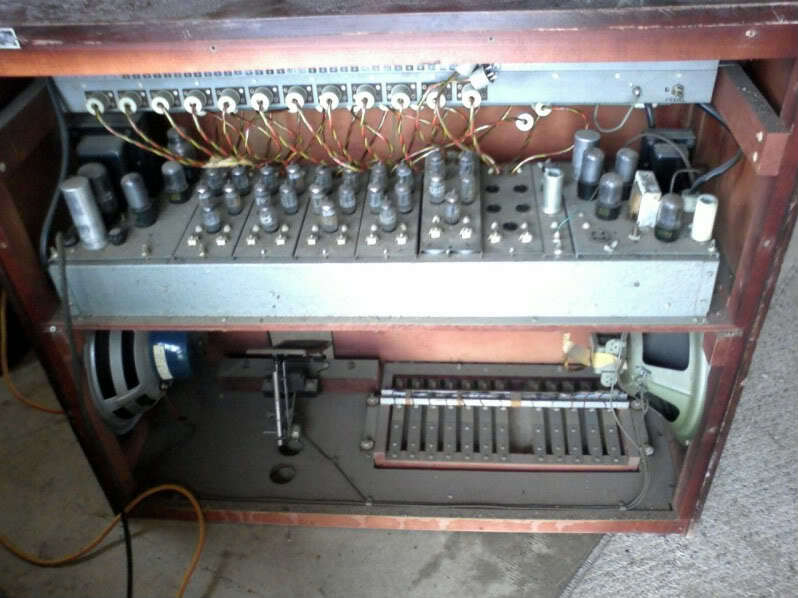 I have an old Minshall organ that has a reed bank and electric blower but some circuitry too. Model 115B Anybody have any ideas? I’m interested in the amplifier inside the organ. Would you be willing to sell just the amplifier? Do you have any pictures?